Harebottle describes past 12 months as "stellar" for business. 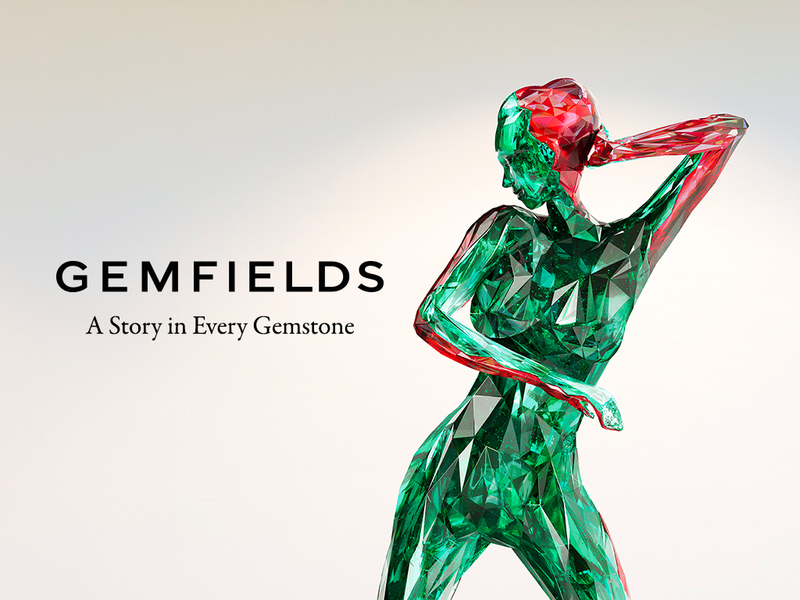 Gemfields has today announced its final audited results for the year to June 30 2014, with revenue totalling US$160.1 million (£98m) and earnings before tax reaching £59.3 million (£36.3m). The gemstone mining business, which also wholly owns Fabergé, also reported profit after tax of $16.3 million (£9.98m). 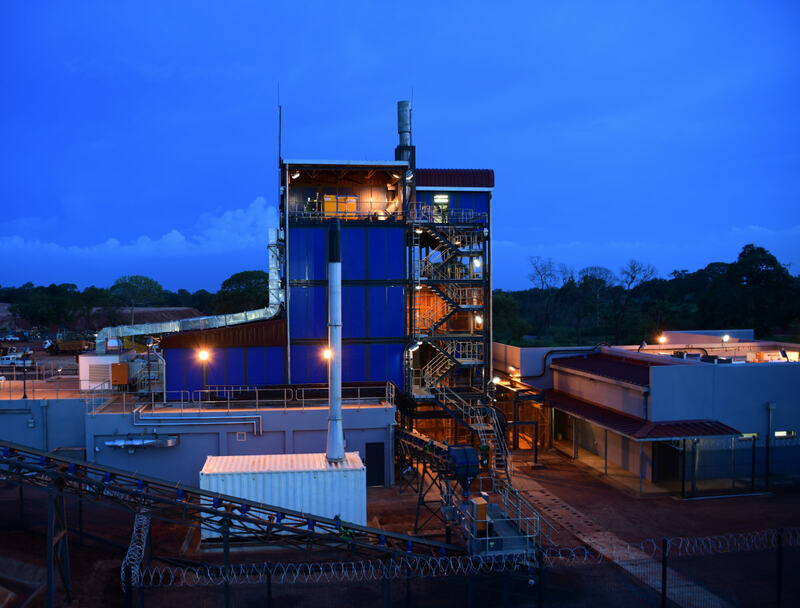 Its total cash operating costs were $27.4 million (£16.7m), down from 2013’s $32.2 million. Its Kagem mine in Zambia produced 20.2 million carats of emerald and beryl for the 12-month period, down by 9.8 million carats compared to 2013’s production, recovering approximately 253 carats per tonne compared to 283 carats per tonne in 2013. Its three auctions of emerald and beryl mined at Kagem (two of higher quality and one of lower quality) were held in Lusaka, Zambia, generating revenues of $84.4 million (£51.6m). Average per-carat sales value of high-quality gemstones and low-quality gemstones increased respectively from US$4.40 per carat in the July 2009 auction to US$59.31 per carat in the February 2014 auction, and from US$0.31 per carat in March 2010 auction to US$3.32 per carat in the November 2013 auction. In April 2014, the Mines Safety Department of Zambia awarded Kagem a certificate recognising more than three million shifts free of reportable injuries, believed to be a record in the Zambian mining industry. Gemfields mined about 6.5 million carats of ruby and corundum in the past year, up from 1.9 million carats in 2013, taking the total ruby and corundum extracted to 8.4 million carats. Total rock handling was 1.6 million tonnes, with rough sales and auctions generating revenues of $33.5 million (£20.5m) at an average realised price of $18.43 (£11.28) per carat. Gemfields next ruby auction is scheduled to take place ahead of December 31 2014. The business also established a one-of-a-kind proprietary grading and sorting framework for rough rubies, which was well received at the inaugural auction in Singapore in June 2014. The business’ wholly-owned Fabergé Limited arm reported increased unit sales and a 12% relative increase in gross profit margins derived from sales and sales orders agreed during the period. The brand drove forward its promotion of Gemfields coloured gemstones with a new campaign called The Art of Colour, and hosted a major marketing event from April 1 to 21 2014 in Harrods department store in Knightsbridge, London, resulting in record monthly sales for its concession within Harrods. Fabergé was awarded the Best International Brand Collection 2014 prize at the Andrea Palladio International Jewellery Awards 2014 in Italy for its Spiral, Treillage and Emotion collections. The luxury jewellery brand also welcomed Robert Benvenuto as President and COO, who joined the business on October 28 2013. The business has been heavily focused on expanding communications outreach into China this past year, while distribution and sales channels have increased across the US via selected partners. Gemfields says it continues to evaluate a number of other gemstone opportunities, including in Colombia and across Africa. It has recently announced entry into a joint venture in order to progress opportunities in the Sri Lankan sapphire and gemstone sector. 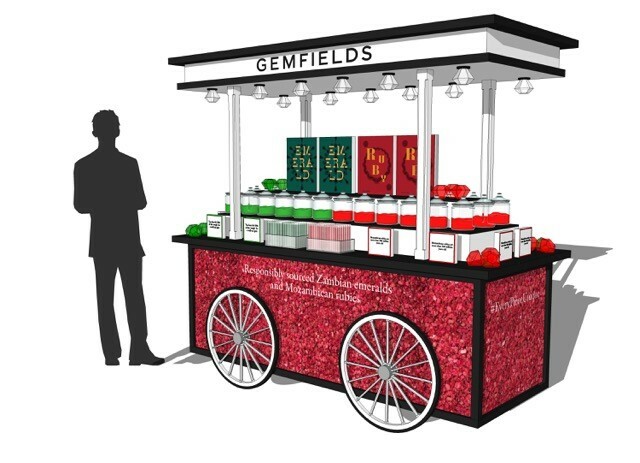 Gemfields chief executive Ian Harebottle commented: “Gemfields has enjoyed a stellar year which has seen a threefold increase in revenue to $160 million and a year-on-year EBITDA increase of $58 million. In addition to record revenues from our emerald business, the year saw Gemfields hold its inaugural ruby auction of Mozambican rubies, generating sales of $33.5 million from 1.82 million carats sold. Both our auction system and the rubies themselves received widespread acclaim from numerous industry stakeholders, underlining the significance to Gemfields of this new business. "The consistent price increases achieved in our emerald business demonstrate our ongoing commitment to supporting the competitiveness of Zambian emeralds on the international market and affirm that our global marketing strategies, including our Fabergé business, are successfully driving demand for coloured gemstones. Our marketing initiatives included the Project Blossoming initiative in India and the 100 Good Deeds Bracelet in collaboration with Mary Fisher and featuring Mila Kunis as project ambassador." Harebottle added that the company’s strategy remains that of becoming the global ‘Coloured Gemstone Champion’, adding that it has been pleased with its new opportunity to add Sri Lankan sapphires to its portfolio of premium coloured gemstones. 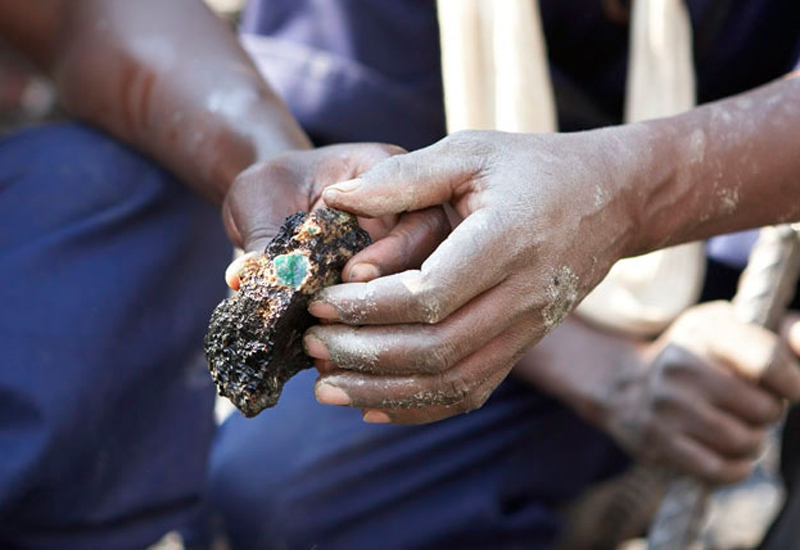 "The Kagem emerald mine in Zambia continues to be our cornerstone asset and the fact that Kagem is now a fully tax paying entity (and has distributed its first ever dividends to our partners, the Government of the Republic of Zambia), validates the investment, turnaround and growth initiatives initiated when Gemfields acquired 75% of Kagem in June 2008. 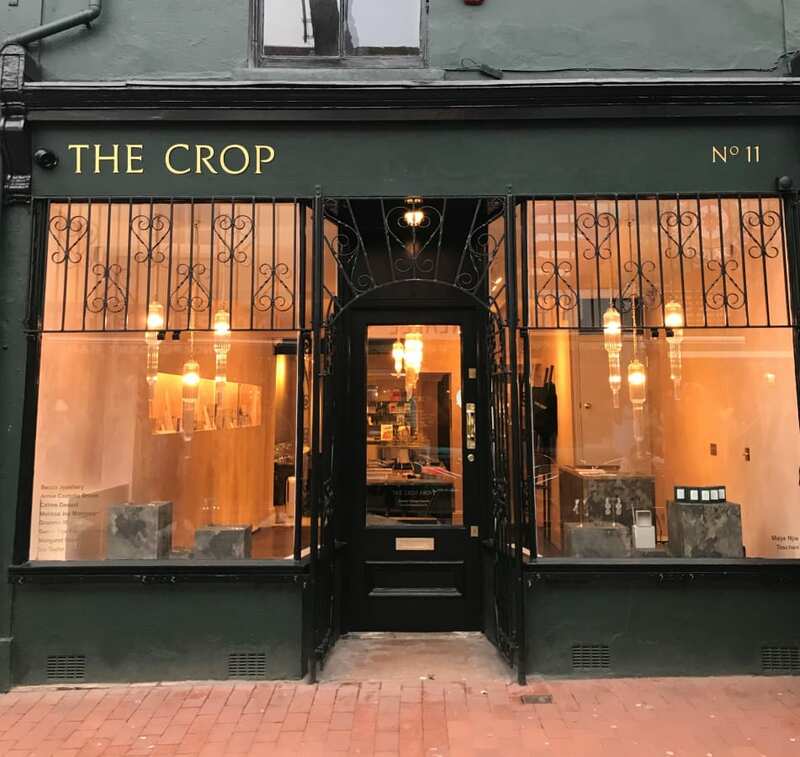 We are very grateful to our dedicated and hard-working team and remain tremendously excited about our expanding global portfolio of emeralds, rubies and sapphires,” Harebottle added.